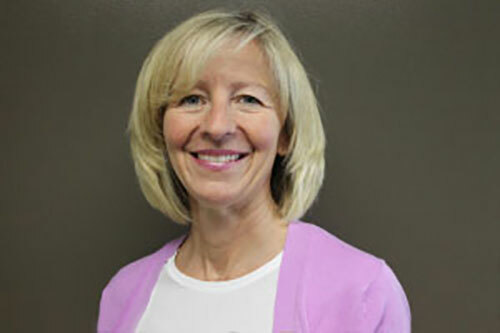 Christine is a 1985 graduate of the Bachelor of Science in Physiotherapy Program from Dalhousie University. She worked for 2 years at the NS Rehabilitation Center in Halifax before calling Moncton home in 1987. After 2 years working at The Moncton Hospital, she joined Diane at Keays Thompson Haley Physiotherapy which is currently our Keystone Physiotherapy. Christine has an extensive continuing education resume in manual and neuromuscular therapy which provides a high level skill in diagnostics and treatment of biomechanical issues. She is proud of her accomplishments in manual therapy, treating chronic pain, acupuncture, relaxation and motivation techniques, exercise prescription and neuromuscular treatment in all age groups. In the past 10 years, she has also developed a respected expertise in the treatment of urinary incontinence in men and women as well as the common occurrence of pelvic pain. Outside of her professional life Christine, and her husband Eric, have raised 4 children. She enjoys volunteering in global poverty areas having visited Rwanda, running and teaching at the local Running Room, developing learn to run clubs, road biking, volunteering for many local and national level sporting events and various public presentations as related to her expertise. Book an appointment with Christine!